Imagine not being able to sleep at night because of bugs, heat or the possibility of being raped, beaten, robbed or killed, this is what our brothers and sisters who are currently experiencing homelessness in Leesburg, and surrounding area's of lake county Florida are facing each and every day. Our Goal is to assist as many individuals and families as possible to get off the streets and into their own homes. This is no easy tasks but we have proved that the housing first model works, along with case management, life skills, money management, counseling, love compassion, and support we can help change someone's life for the better. There are limited shelters in our area and most of our client's don't meet the specific criteria's such as drug addiction, a victim of domestic violence, single mother with children and so on. 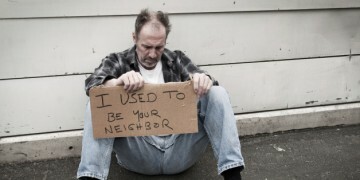 Most of our clients are middle age to seniors with limited or no income with no family and no place to live. By raising these funds we can find and place those in need into their own homes by assisting with rental and utility deposits.